Hi beauties :) Today I'm back with another rant and rave beauty diaries post, and today's hot topic is something I've been absolutely loving like "oh my gosh where have you been all my life" kind of love. 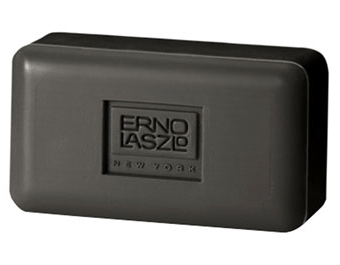 Today's product is Erno Laszlo's 'Sea Mud' Deep Cleansing Bar for Normal/Combination Skin ($39 - didn't have any luck buying it in store, so if you want to try it out I'd order it online. If you hate it, well good thing Nordstrom takes back anything!). I'm a huge skincare/beauty geek and I love trying out new products to find that one holy grail item that does wonders to my skin and I won't be able to live without. In all my years of being a self-proclaimed beauty connoisseur, there have only been a handful of items I've come to fall deeply in love with, both of which are skincare items - Kiehl's Blue Astringent Herbal Lotion and Kiehl's Cucumber Herbal Alcohol-Free Toner. Find my review here (I've been using both products for 5+ years). I've been using this cleansing bar for almost a month now, and I've never seen my skin look or feel better!! It will definitely be an item I will repurchase time and time again for years to come so I wanted to share the wealth with all of you because who doesn't love healthy, beautiful skin?? 2) Controlling and preventing zits - I have combination skin, so I'm more prone to getting acne in my t-zone (mostly my forehead/hairline area). I've noticed that the cleansing bar has helped reduce my acne by a great deal and helps any stray zits I get here and there disappear in just a couple days. 3) Cleaning out pores - I have definitely seen a visible improvement in terms of reducing blackheads and minimizing the size of pores. No, you can't actually physically shrink your pores, but if they are cleaner, they appear smaller! Price! I know $39 is not cheap to most people for skincare since drugstore options are much more affordable and seem to do a decent job. But I've tried my fair share of drugstore cleansers - Clean & Clear, Neutrogena, St. Ives, etc. and none compare (I find them quite drying). This bar is supposed to last roughly 6-9 months if you use it twice daily which actually means the price isn't all that ostentatious! I've read some reviews of people feeling displeased with the product and I think it's because they're not using the product correctly. The directions aren't all too descriptive on the packaging but this is how I was taught to use it. 6) Repeat day and night! This can also be used on your body so if anyone struggles with back and/or chest acne I think it's worth a shot. I am currently just starting to try that out since it's something I have yet to find a solution for, so if it works out I'll let you know! If anyone tries this product out, please let me know your thoughts! I'd love to hear, and I hope this review was helpful! Great review! I've actually never heard of this before, I'll have to look into it! Thanks Yi-chia! I only recently heard of this product because it's huge in Asia and they constantly rave about how great it is, so I decided to give it a try and it is seriously awesome! One of the best skincare products I have ever used :) Let me know if you try it out! Thanks Christine! It's definitely a product that I just got familiar with recently also, but I'm always looking for the next new product that I'll fall in love with and improve my skin. I have the same problem as you where I get super shiny in the summer because it's so humid over here on the East Coast. I considered getting the Clarisonic, but I read so many reviews about people who started having problems with broken capillaries in their face so I got scared :( But you are definitely right...hahaha these black colored skincare products have earned their good rep in the beauty world! I haven't tried either products you mentioned, but the moisturizer sounds very interesting! I might have to pop into Sephora and check it out :) Let me know if you try out the cleansing bar though!! A skin care regimen that I used for many years was to do a twice daily face cleanse and regular ex foliation to remove dead skin cells. I have over the years used products such as Neutrogena, Cetaphil and Olay with indifferent results. Recently I bought a sonic cleanser and use it on a daily basis. It's so easy to use and doesn't harm my face as there are no rubbing brushes involved. It's very convenient because it only takes a few minutes every day. You can also get a number of cleansing lotions formulated for specific purposes to use with the device. I wouldn't be without my sonic cleanser.